Superfoods. Without going through the entire list of foods, this implies a couple of things to me. One, foods that are as healthy as possible. Two, nothing refined. After that, it’s really up to you. Kale? Yes. Barley? Of course. The elusive acai berry? Sure. Organic sprouts, swiss chard, kiwis, faro, blueberries, and so on. The list is long. We know what’s good for us. We don’t necessarily need to eat off a list, or an ‘approved’ list, unless you’re following a specific diet or meal plan. When given the option, do you order the egg and sausage sandwich, or eggwhite and grilled asparagus frittata? You order what you want, but it’s clear which is healthier. But which tastes better? What do we crave? How do you make the superfood taste like the other stuff? Not easy, and eating right is a choice you have to make on your own. If you’re going to go down that path, here’s a great simple salad to start. 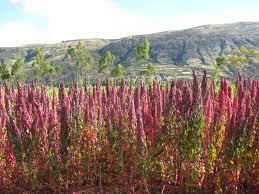 Quinoa is like a super star in the superfood world. Making anything with quinoa is bound to be great. Add sweet beets, anise-flavored fennel, some dynamic greens and herbs and you have the makings of a great dish. Place the quinoa in a small heavy bottomed sauce pot. Add 3 cup cold water and a pinch of salt. Bring to a boil, turn heat to low, cover tightly and cook for 15 minutes. Remove from heat and let stand for another 15 minutes. Fluff with a fork and let cool. In another small heavy bottom sauce pot, add the beets with the sugar, a pinch of salt, a pinch of sugar, and thyme. Cover with cold water and bring to a simmer. Simmer until tender. Let cool and peel. Cut into quarters. Trim the fennel of any rough outer leaves and remove the core. Slice as thin as possible (a mandolin is perfect for this). Mix the cool quinoa with the fennel, parsley, shallot, arugula and beets. Add a touch of salt and the lemon juice. Mix well. Drizzle just enough olive oil over the top to add shine. Recheck seasoning and serve right away. Best served with cedar plank salmon.